In Chamas, which for some reason tend to constitute of mostly women, it is just natural for them to talk about each other. Though it may seem like harmless chitchat among the women as they share a cup of tea after the chama meeting; gossip is one of the deadliest things that wrecks havoc to any Chama. Gossip is defined as discussing anything negative with someone who can’t help solve the problem. If one of your Chama members is having financial difficulties due to the fact that she has lost her job and she is slow in making her contribution, don’t complain about it to other chama members. Instead, talk to your leader because she can and will do something about it. This is due the fact that it is impossible to create unity in the Chama with a bunch of gossips. Gossip pulls people apart instead of pulling them together and the truth is no one can trust a gossip. In chamas, gossip is simply annoying and unwelcome behavior, yet it still happens. One of the things that gossip does is that it destroys trust. “Trust is destroyed by gossip–and, so are people.” Says Zippy Chomba of New Life Counseling Centre. The harm to trust to is obvious. Just think for a moment and imagine a rumor started about the Chama treasurer who is currently trustworthy. What would happen if the rumor said that she stole money from the Chama kitty and people talked about it? Would you be concerned about having her in charge of the Chama cash? It’s certainly safer to work with someone else, isn’t it? It may seem odd, but truth isn’t the issue. What if the rumor is true but the full context was missing. Suppose there were circumstances, like improper accounting. Trust is the victim, along with your chama treasurer. So what can you do to stay away from gossip? Zippy gives some pointers. Learn to avoid gossip. 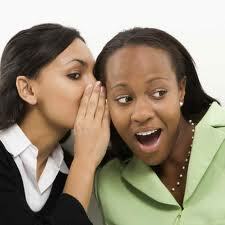 Steer a gossiper away by changing the topic each time a chama member launches into nasty gossip. Even if your approach doesn’t solve the gossip problem entirely, at least you’re demonstrating that you’re no longer a willing participant. This alone might be enough to break the gossip chain. If fellow gossipy chama members don’t get the hint, confront them directly. Politely discuss your concerns, such as how destructive gossip can be to the chama spirit and how hurt other members would be to know people are back-biting them. There’s a chance the offenders aren’t aware that they’re gossiping they might view their conversations as harmless idle chatter so confronting them might be the wake-up call they need. Also, set a good example by centering your conversations on positive topics. For example, early in a conversation, before gossip can even begin, mention an interesting story you saw on the news or ask your friend a question about her own life. Taking control of the conversation from the beginning prevents gossip. Moreover, limiting your conversations to chama-related issues is always an option. If you are the chama leader, dealing with gossip, you face two challenges. First, you can ban gossip, but such a policy is difficult to enforce. Chama members might stop only when you are nearby. Second, you must avoid letting gossip cloud your judgment. For example, a nasty rumor that reaches your ears might intentionally or unintentionally affect your perception of that chama member. Even if the rumor contains some truth, the gossip might be ignoring important details and exaggerating juicier aspects of the story. The best approach is to steer clear of gossip entirely. But when that’s not possible, give the chama member the benefit of the doubt or a chance to present his side of the story.